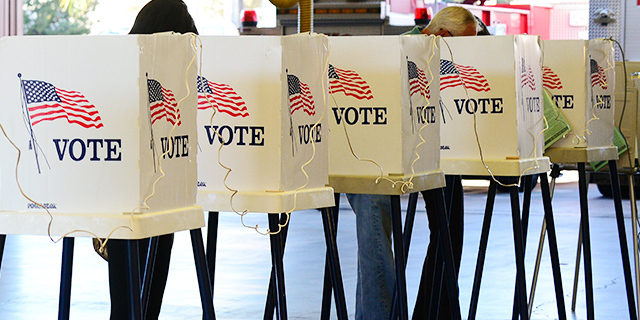 Registered voters, likely voters, turnout rates: What does it all mean to 2014 election forecasts? One of the most important factors in the results of 2014 pre-election polls being released almost daily at this stage in the cycle is determining the answers to two questions: How many Americans are likely to vote, and which voters in the survey are the likely voters? Important as this is, there is almost no consensus among the pollsters as to how to identify each of these groups. The least sophisticated polls derive their likely voters by asking respondents if they are registered, and if so, do they plan to vote. The more rigorous surveys ask their registered voters a series of questions: Will you vote, are you certain, have you voted in the past, are you interested in the campaign, where do you go to vote, or do you vote by mail, and so on. Respondents are scored based on these questions to derive a likely voter group based upon cumulative answers to the “turnout” questions. The relative importance assigned to the turnout questions are sometimes based on guesstimates of which questions the pollster thinks are most important. In other cases, actual voting data are used to construct a model for likely turnout. Over the years, both the Gallup Organization and Pew Research Center have gone back to the actual voting records of their respondents to validate which questions are the best predictors of voting. On this basis, respondents are scored from the highest to the lowest probabilities of voting. But even with this level of sophistication, the pollster’s judgment is still a factor in the turnout puzzle. The validation studies only tell us how to accurately rank respondents from the most likely to the least likely to vote; they do not provide guidance as to where to draw the line between likely voters and respondents who are not likely to vote. The rate of turnout is another issue itself. Here’s where the judgment comes in. Will the rate be similar to previous “high” turnout elections, “low” turnout elections or somewhere in between? That’s the pollster’s call, and he or she makes that call without hard data that can peg how low or how high turnout will be. Based on modest levels of voter interest found in most recent surveys, 2014 may be a low turnout year — at least, that is the way it looks. But there is not a statistical model using the results of surveys taken days before the election to predict exactly what the level of turnout will be. And there are often surprises. For example, the turnout rate was a little higher in 2012 than expected, as young people and Latinos came out to vote in greater numbers than anticipated. In this year’s midterm, the surprise will be if Democrats more generally become re-energized to vote. So the possibility remains that the absolute level of turnout will increase, if the Democratic interest in the races increases in the final days of the campaign. This is particularly hard to predict in a midterm election compared with a presidential election, since congressional, gubernatorial and Senate races can vary widely from district to district and state to state when it comes to how interested voters are in those contests. Many Americans say they voted, but did they? A basic question when reading a poll: Does it include or exclude nonvoters?